Thinking of travelling? Sick of England? Want to be paid more? 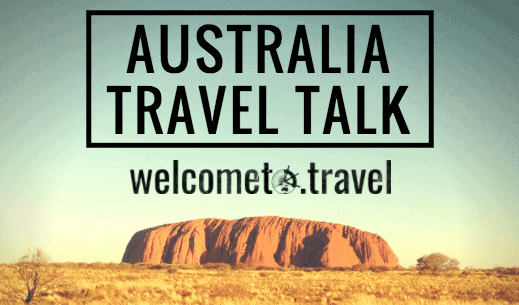 Join this in depth travel talk, covering everything that you need to know about the Land Down Under. Get the inside info: from how much you can expect to earn, to the best adventures across Oz. Still not too sure? Get one drink included on arrival. That not enough? Receive over £500 of travel discounts. You’re a tough crowd… You’ll also be in with a chance of winning: a skydive, a trip to the Whitsunday’s, or an epic Welcome tour worth £550! All this for just £2.50/$3.99. That is about the price of the drink…what have you got to lose! All attendees will receive a printed travel guidebook, a free one to one Skype with the co-founder of Welcome To Travel, and exclusive access to a website dedicated to Australia travel discounts!